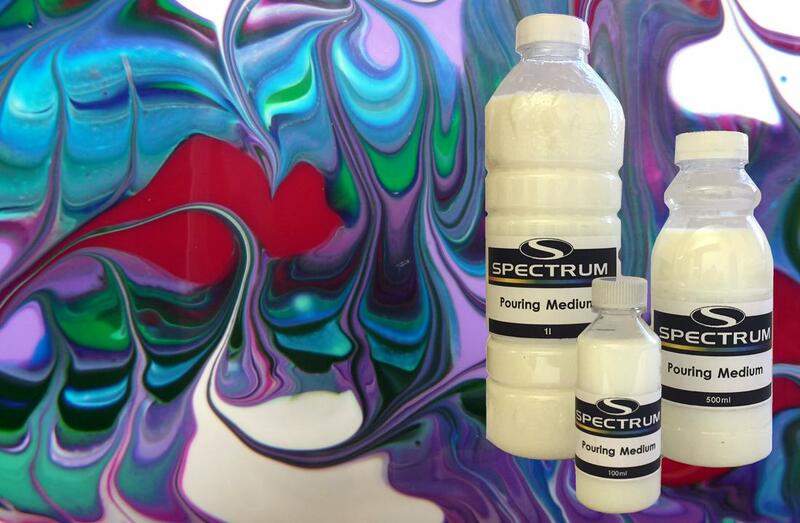 Spectrum Slow Dry Liquid Medium. Available in 100ml & 500ml bottles. Spectrum Slow Dry Impasto Medium. 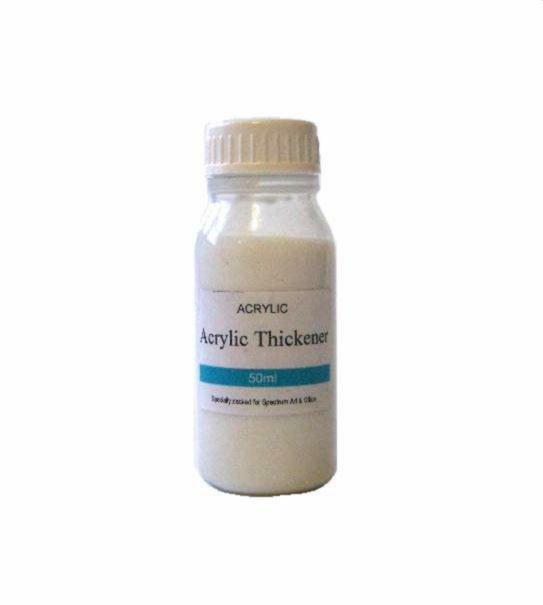 Available in 100ml & 250ml tubs. Available in a 100ml & 250ml tubs. 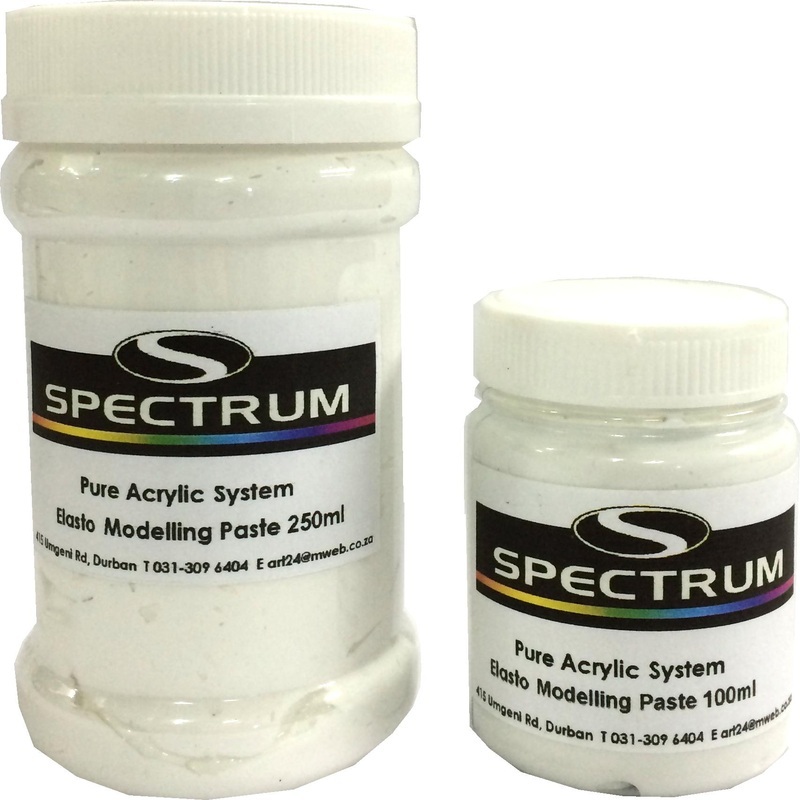 Spectrum Acrylic Elasto Modeling Paste. Available in 100 & 250ml tubs. Spectrum Acrylic Paper Mache Paste. Available in 100 & 250ml tubs. 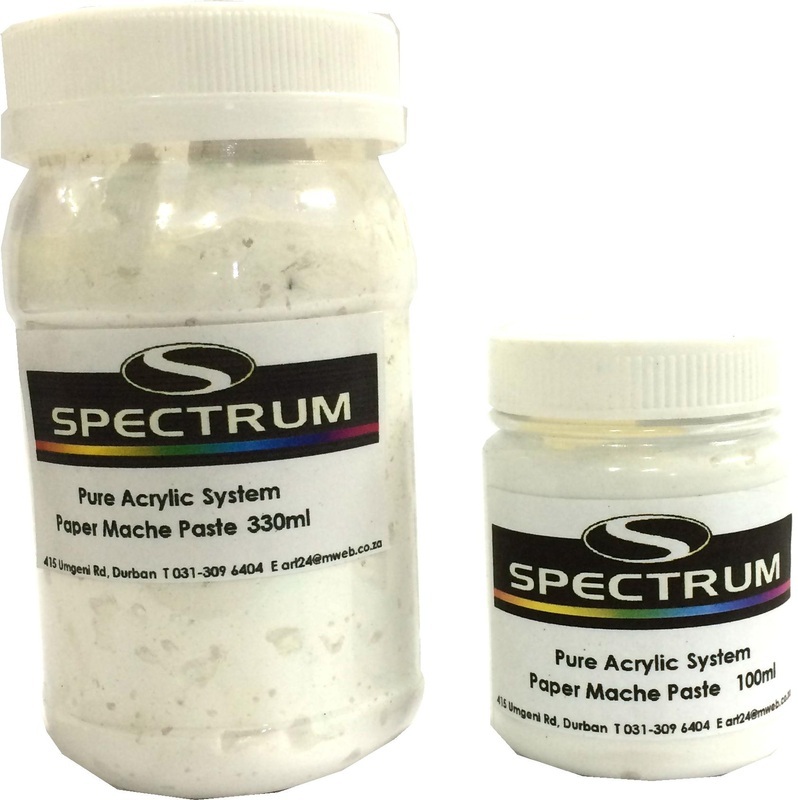 Spectrum Acrylic Fine Textured Paste. Available in 100 & 500ml tubs. 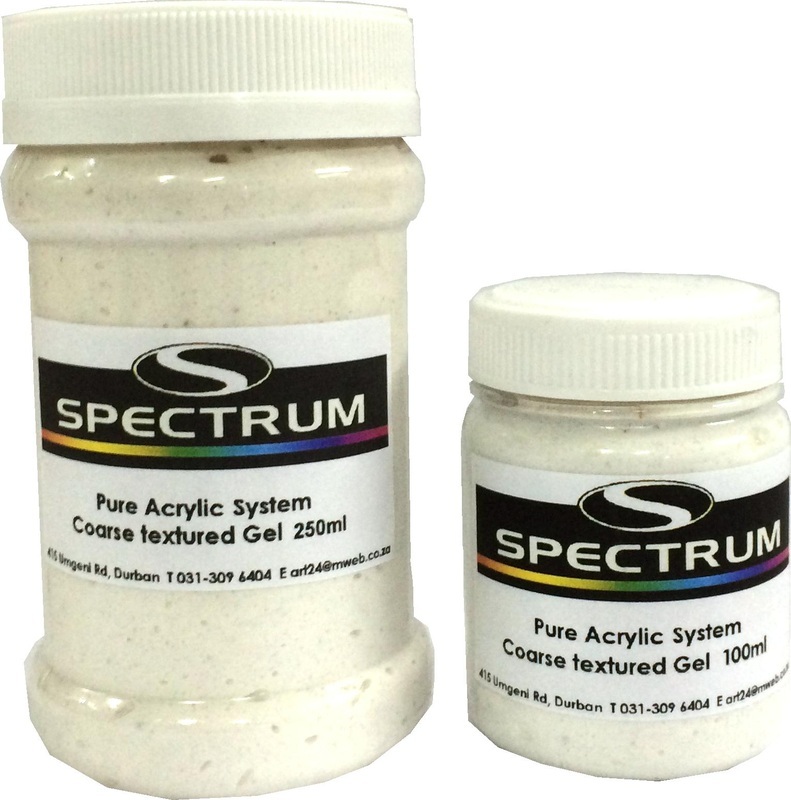 Spectrum Acrylic Coarse Textured Paste. Available in 100 & 250ml tubs. 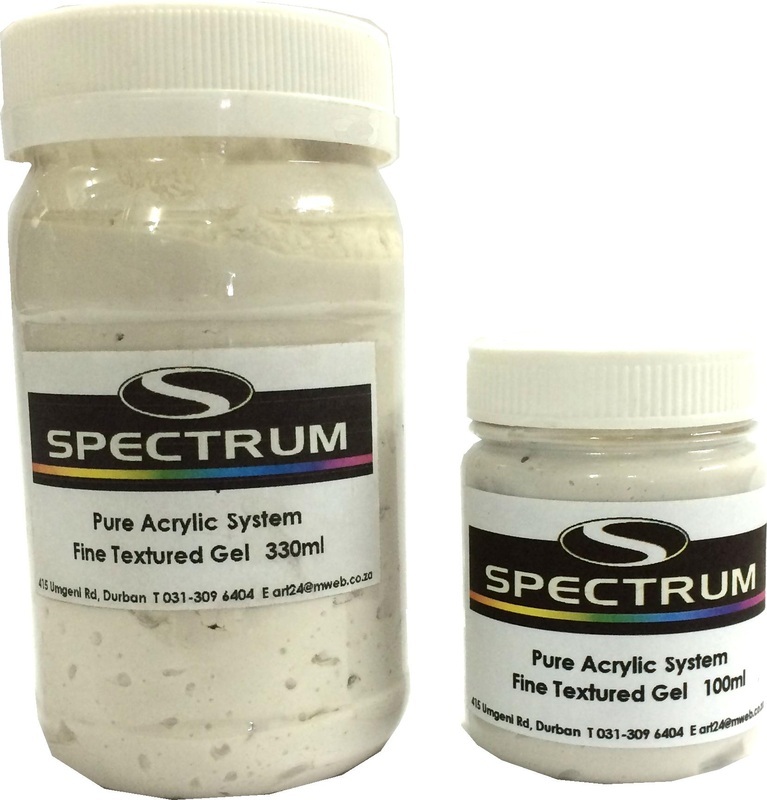 New to our range, our very own, tried and tested, Spectrum Acrylic Pouring Medium. 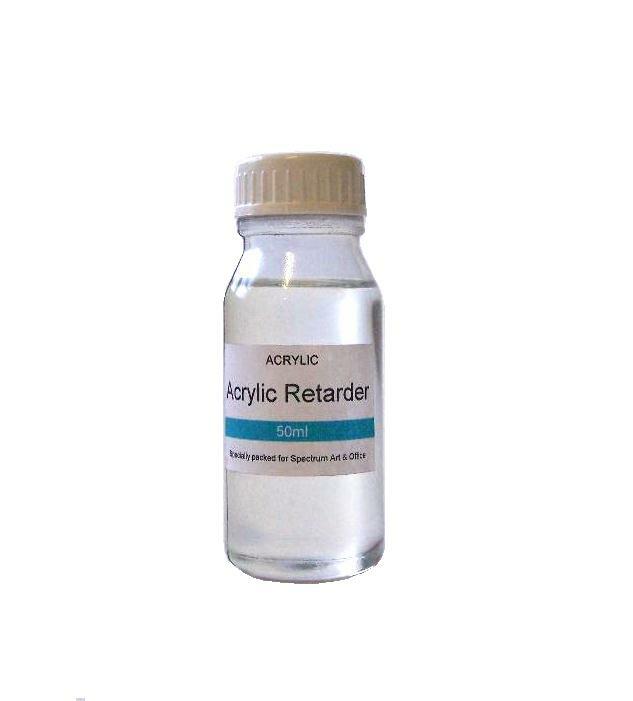 Also refererd to as Floetrol, this medium is used in conjunction with StudioCryl colours to create fun and interesting decorative art pieces.